Bollywood Story - Play All the Top NetEnt Slot Games Free Here Online Now! The slot gaming visionaries over at NetEnt have been known to come up with a novel theme or two in their time but this one is very clever indeed. The Bollywood film industry is simply massive and, with fans not just in India but around the globe, the Bollywood Story slot is sure to find a dedicated fan base very quickly. As you might imagine, this slot is full of classic stereotyped characters from Bollywood films and is frankly worth playing for its epic soundtrack alone! If the theme and entertainment on a slot isn’t enough for you (This is a gambling slot game after all) there’s plenty of other things to shout about in a chorus. 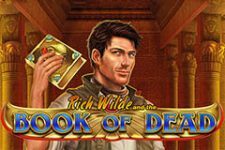 For instance, this game has a novel floating wild feature which is very reminiscent of the connected wilds used in many IGT and popular High 5 Games slots. With 2-4 wilds in the base game and 3-6 wilds in the re-triggering free spins feature you only need to catch it just right to break some box office records with your coin wins! Read on for our full review of the Bollywood Story slot machine. 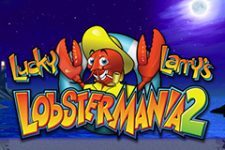 This new slot game is something of a hidden gem and less known than many of NetEnt’s bigger slot titles like say, the movie themed Alien slot. The reason for this is that it was developed for ComeOn casino exclusively much like the Viking Bob Quest slot before it. Unlike it’s sibling, this game has a lower RTP and higher variance, giving it a little more spice and action. Fortunately, none of the simplicity in either set-up or game play has been lost, especially as this video slot has only nine fixed pay-lines in play on the 5×3 reel grid. The NetEnt coin system is still in place and bet range is much wider than the last collaboration between these two with 0.09 to 90 credits on offer per spin. We like this as it allows lower stakes players to play a slightly more volatile game without too much risk to their bankroll thanks to the low cost of entry. Those who play with high roller bonuses will be just as pleased with that big max bet option. Controls are cut down a little from some of the other slots in the range with no graphics adjustment or separate volume controls. You can’t highlight the pay-lines either but, with only nine, a quick re-fresh of the pay-table from time to time should keep you up to date. There’s no specific mobile version of the slot game but on testing it plays fine on everything we had in the office to test it on from iPhones to Android tablets. The Bollywood Story slot is set on a beautiful open air terrace in the midst of an Indian summer, steamy stuff for sure! It seems to follow the traditional Bollywood romance angle with a pair of young lovers and their disapproving middle class parents. All the cast offer decent, if slightly uninspiring coin prizes for combinations of three or more. The game logo is the top paying icon on the main pay-table with a 1000-coin award, not the greatest amongst NetEnt slots but still very solid. The playing card icons, you can feel a little bitter about, not the best supporting cast with some very weak pay-outs. What makes the game pay in the base round then, is the floating wilds. It’s hard to tear your eyes away from the floating flower garlands on each spin as you hope anywhere between two and four will complete a pay-line and throw you out some big prizes. You are well entertained whilst you wait by the stunning graphics, win sequence animations and sound effects. I almost think NetEnt missed a trick here by not making the game low variance, it really suits long play sessions thanks to the wonderful theme. With just nine lines, the wilds are essential to making any headway in the monsoon wind. 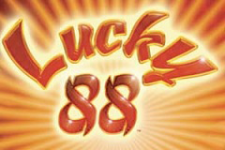 Frankly though what you will be anticipating is the blue diamond scatter, with 3,4 or 5 granting you entry to the re-triggering free spins game and an initial allocation of 10,20 or 30 free spins. Gameplay on most NetEnt slots tends to be pretty well balanced between action in the base game and the features. With a higher number of floating wilds in the free spins game on the Bollywood Story slot, that isn’t the case here. The free games are definitely where the true romance lies here and it takes only one re-trigger or a good set of those wilds to bring out some really serious wins on the slot. Of course, that isn’t guaranteed so you could wait some time to hit the feature and then find yourself demanding an encore to a disappointing initial screening. About the only thing missing from the Bollywood Story slot is either a fixed or progressive jackpot. It’s worth noting that the game does suit cash play as much as free play with the higher variance and lower hit ratio for the features. Although, the RTP isn’t as good as some other games from this developer. Overall, the Bollywood Story is a highly entertaining game. 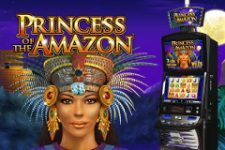 It’s well produced and even if you only play it with a free spins bonus or reload bonus, we’d say it’s well worth trying to coin in some real cash. That does mean signing up to the one casino which currently has the game for cash play – ComeOn casino – fortunately it’s a very solid NetEnt site.